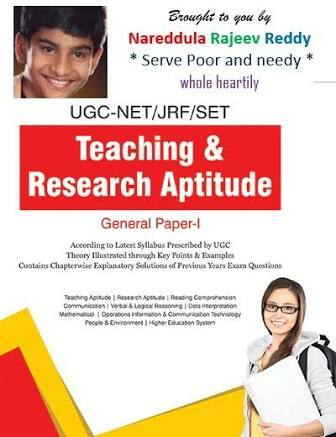 UGC CSIR CBSE NET/JRF/SLET/SET (National Eligibility Test) General Paper-1 Notes on Teaching and Research Aptitude, Reading Comprehension, Communication, Reasoning (including Mathematical). Logical, Data Interpretation, Information and Communication Technology (ICT), People and Environment, Higher Education System: Governance, Polity and Administration. Free download of Solved Papers, Books, Study Materials.